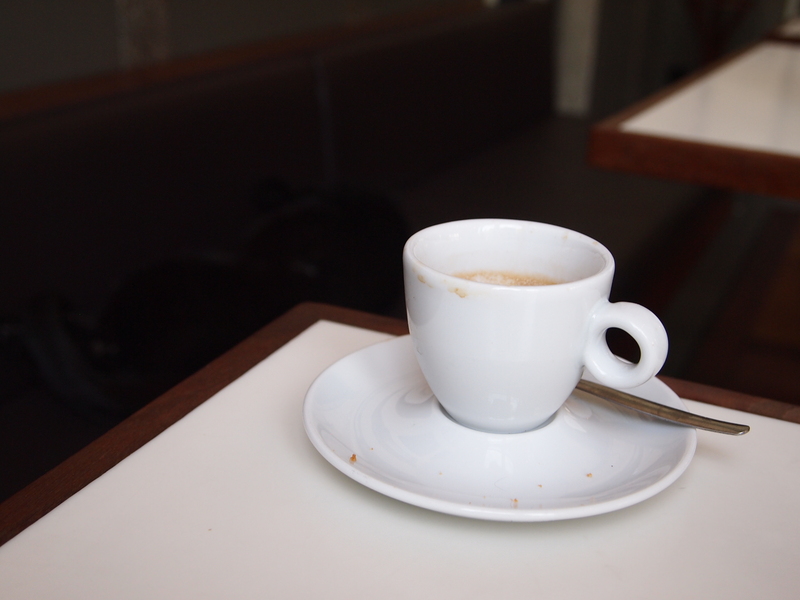 An espresso cup with ear and spoon to the right. Most people are right-handed. There are things in life many people assume are the way they are “because.” Then there are people who obsess over details because details make a difference. People who obsess over details are often referred to as perfectionists or people with obsessive compulsive disorder. I am a perfectionist and when it comes to work I am almost obsessively compulsive in getting things right. Hospitality is about presentation and feeling welcome so the details really matter. In general my experience is that this attention to detail is not always appreciated. I can understand that people think “why bother, it is only a small thing” and they move on. Then something happens and certain details do matter. When you look at the coffee cup what do you notice? Really what do you see? White porcelain, made for espresso. Ear and spoon to the right for convenience. Close to table edge, risk of falling. No milk traces, the espresso was likely black. Whether what I quickly summarised made sense depends on you. I have been working in hospitality for years, from washing dishes, being a waiter, being a bartender and a barista in training. These observations indicate one thing in particular: the coffee has been consumed, pick up the dishes and check whether the guest wants something else. You can start by asking “did you like the coffee?” and give three seconds of attention while giving the guest the impression he or she matters. If up to now you still think that “details are just details” think again. When you fail to pick on this in your café, bar or restaurant you can miss out on your tip, a returning guest to tip you again and never understanding how a good coffee can make someone’s moment or day. In some cases O.C.D. has serious personal implications for people’s life. Think of limitations to what someone can do. In organisations and business sometimes O.C.D. is part of presentation and procedures because reasons and conventions. The most important detail: the coffee was good, I had two espressos so I will return to that place. A good coffee makes that difference for me.